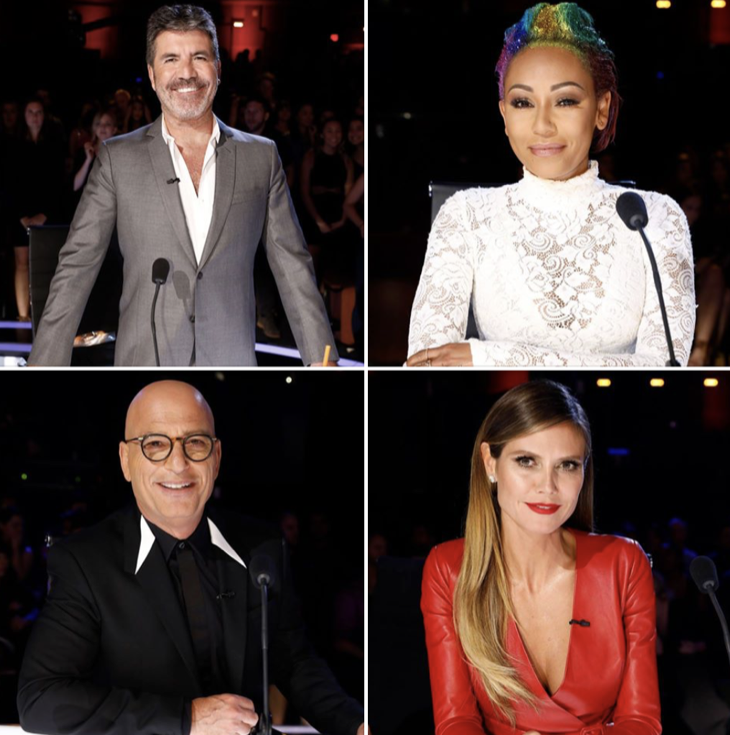 Make sure to bookmark this spot and come back later for our America’s Got Talent recap from 8 PM – 10 PM ET! Refresh often so you get the most current info! While you wait for the episode head over and check out all our AGT spoilers, news, recaps & more! Tonight’s America’s Got Talent recap begins now – Refresh Page often to get the most current updates! The finals start with tapes of each of the contestants talking about what it would mean to win this season of America’s Got Talent. One contestant will leave with one million dollars and a two night show in Las Vegas. Tyra welcomes the audience, introduces the top ten remaining acts and the judges. Simon, Heidi, Howie and Mel B are all so excited for the ten remaining acts. They are Preacher Larson, Darci Lynne, Keshi, Evie Claire, Sara and Hero, Chace Goehring, Mandy Harvey, Divalo, Angelica Hale and Light Balance. Tapes from last night’s performances were shown and the judges feel that each remaining act deserves to win. Clips from this past season were shown including jokes Howie told that drove Simon crazy. Tyra introduces several clips of the contestants joking around in the Dunkin Lounge last night. Keshi and Angelica Hale start to sing and are then joined by Kelly Clarkson. She then sings a song on her own. Howie and Simon share their thoughts about Mel B. They often have to explain things to Mel several times before she understands but also said she seems happy most of the time. Diavolo and Light Balance perform a special act together for the finale. Several clips are shown of the acts who received a buzzer by one of the judges during this season. A special clip of the My Little Pony: The Movie is then shown featuring a song by Sia. Sara and Hero welcome the judges to bring in their dogs for a training session with Sara. Heidi brings in her two German Shepherds, Max and Freddie. Mel brings in her two dogs, Axel and Zeus and Howie brings his bull dog Harvey. Simon and his dogs do well but Howie just jokes around and is forced to lay in the pen to think about what he has done. Marlee Matlin introduces Mandy Harvey who performs with Shania Twain. They sing “Looks Like We Made It”. Shania then sings a song on her own. Tyra introduces a clip of what the other judges find annoying about Heidi. She always points out things people have wrong with them and the others complain she is always judging them. A clip of Darci Lynne and Jeff Dunham is shown. He shares his experiences and tips with Darci. Tyra announces that Jeff will be getting his own star on the hall of fame tomorrow. Darci Lynne is then joined by Terry Fator and they perform together. Terry was the season 2 AGT winner. Tyra tells the audience that The Voice will return next week for a new season. Jennifer Hudson will join Adam, Blake and Miley as coaches for the season. Preacher Larson and Howie talk about Howie’s rise to stardom in comedy. Howie, Preacher and Kevin met and talk at the Laugh Factory. They give Preacher guidance on how to succeed. The next special finale performance is Evie Claire. She is joined by Chase Goehring and James Auger. AGT has been on for 12 seasons and Tyra quizzes the judges about the show. None of them do very well but Simon does get 7 answers correct. Clips highlighting Tyra’s performance from the season are shown. Then each of the ten acts talk about what winning would mean to them. Tyra announces that last night’s show generated more votes than any other season. She then calls Chace and Mandy to the front of the stage and announces that Mandy has earned one of the top 5 spots. Chace is sent home. Evie and Sara and Hero step forward next. Tyra then calls out Sara and Hero’s names. They will move into the top 5 and Evie is sent home. Light Balance and Diavolo are the next acts to step forward. Tyra reports that Light Balance will be moving into the top 5 and Diavolo is sent home. Darci Lynne and Preacher Larson’s names are called and move to the front of the stage. Darci’s name is called and she takes the 4th place in the top 5. There is only one spot left and Angelica Hale and Kechi are still on the stage. The act taking the last spot in the top 5 is Angelica Hale. The top 5 acts remain on the stage. The number 5 act is Sara and Hero and they are sent home. Sara is just thrilled that she made it this far. The number 4 act is Mandy Harvey. She is going home but says her journey doesn’t stop here. The act in third place is Light Balance. They leave the show and enjoyed their appearance on the show so much. Now it is between Angelica Hale and Darci Lynne. America has voted and the winner of the $1,000,000 and future star of her own show in Las Vegas is Darci Lynne.